Your Customer Avatar or Customer Persona is so important… As a small business, trying to market, grow your business and get more customers it has never been more important to know who your ideal customer is. This isn’t just a marketing activity or tool, knowing details about your customer avatar such as: how much they earn, where they shop, their pains, goals, frustrations… Even giving them a name and a face; can help with decisions in every aspect of your business. 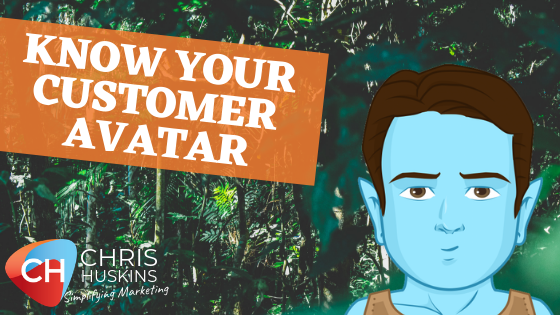 In this week’s video, I show you just how and why it is important to know your customer and produce a customer avatar or customer persona document for your small business and marketing. Watch out for next weeks video where I show you how to put together the customer avatar document, and give you a free template to fill in yourself.